Guy Pearce is in final talks to join the Shane Black directed Iron Man 3 for Marvel Studios and Walt Disney Pictures. 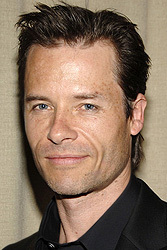 Pearce (Lockout) will play geneticist Aldrich Killian. In the comics, Killian co-creates an “Extremis” super-soldier serum that Iron Man adopts. Pearce will join returning cast members Robert Downey Jr., Gwyneth Paltrow, Don Cheadle, Scarlett Johansson and new edition Ben Kingsley as the villain. Kingsley’s character is said to be involved in the spread of a virus through the “Extremis” nanotechnology.